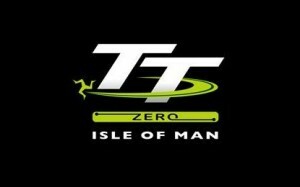 The Isle of Man TT website reports today that Mugen is sending an electric race motorcycle to this years TT Zero race. Mugen is more-or-less a factory team for Honda, in that Mugen was formed by members of the Honda family, Mugen's role is to soup up Honda vehicles, but Mugen has never been formally owned by Honda Motors. This means that Mugen's entry in the TT Zero represents the first foray by a major manufacturer into electric vehicle race competition. There have been manufacturers participate in previous electric vehicle racing, but every example I can think of has been the small manufacturers. Well, there is one counter example, and that was a souped up Nissan Leaf that drove in the 2011 Pikes Peak Hill Climb race. 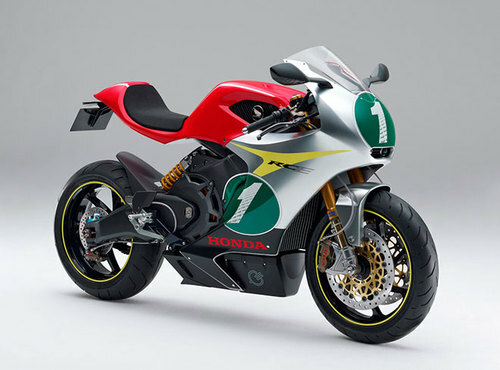 Honda unveiled the RC-E Electric Superbike last fall, so it's worth reviewing that bit of news (see: Honda RC-E Electric Superbike First Look). It's built on a 250cc class compact bike frame, and using an electric motor from Honda's hybrid cars. The bike itself looks like the typical superbike, of which Honda is one of the leading manufacturers. The motor is built as a key component of the frame, as has been done with the top end electric race bikes from Mission Motors, MotoCzysz and Lightning. It's using Ohlins and Brembo and other typical race bike components. This move is rich with history. The TT race has been run for over 100 years, and has been the major proving ground for motorcycles. Honda itself made its reputation by going to this race year after year, improving every year, until Honda's bikes began to win. Perhaps Honda intends to do the same thing again? What's likely is that Mugen is taking the RC-E, souping it up, or helping Honda develop it, and planning to take that bike to the TT Zero race. What this really means is that MotoCzysz and Lightning will be seeing some deep-pocketed competition on the Snaefell Mountain Course this summer. Should be exciting. World famous engine builder Mugen has confirmed that it will be participating in the 2012 SES TT Zero race, which takes place as part of the Isle of Man TT fuelled by Monster Energy. The Japanese company, founded in 1973 by Hirotoshi Honda, son of Honda founder Soichiro, will be campaigning with an all-new original electric motorcycle. The Mugen outfit has a long history of involvement in motorsport including Formula 1, winning four Grand Prix races between 1992 and 2000 working with teams like Jordan, Prost, Lotus and Ligier. They also manufactured engines that won the Formula 3000 championship in 1990 and 1991. Currently Mugen competes in the Japanese GT and Formula Nippon Championships, and were also recently announced as the engine partner to Honda in their forthcoming World Touring Car Championship campaign. The company has history in motorcycle racing, having previously competed in the Suzuka 8 hour endurance race with Joey Dunlop and Roger Marshall, and World Championship Motocross with Johnny O’Mara. The SES TT Zero Race takes place over one lap in a time trial format and is restricted to entrants using motorcycles with zero-emission engines that emit no CO2. The Isle of Man Government has offered a £10,000 prize for the first team to break an average speed of 100mph around the 37¾ mile Mountain Course. The company will shortly confirm the identity of their rider ahead of a planned programme of testing in Japan and the UK. The Motor that was said to be in the RC-E is a 10kW motor from the CR-Z and Insight. With that pip-squeak of a motor and a tiny 250cc sized chassis to stuff batteries in, how is this bike supposed to make to, much less up the hill? I hope Mugen shows up with an RC-E. I could do with a good laugh.